A healthy smile involves more than just having clean, cavity-free teeth. 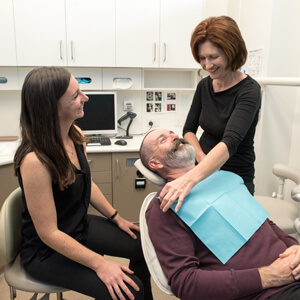 At Randwick Dental Clinic, we start by screening for conditions such as oral cancer, disorders of the jaw joint, how your bite fits together and the levels of your bone and gumlines. After we’ve ensured you’re free of gum disease or other common oral complications, we’ll evaluate your teeth one at a time to screen for issues such as decay, wear or aging restorations. 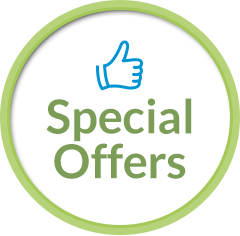 If any abnormalities or unhealthy areas are noted, we will be sure to bring them to your attention. Before your scale and clean, we’ll review your medical history and any medications that you’re taking. The better we understand your daily routine and oral hygiene habits, the more proactive our preventative strategies can be. Dental radiographs may be needed to ensure that there is no hidden decay between the back teeth, and assess wisdom teeth or to determine the quality of the bone to place a dental implant. If you have recent radiographs from another office, please bring a copy with you. Our office utilises ultrasonic instruments to gentle lift away calcified buildup and biofilm from your teeth. During your clean, we’ll also discuss your typical oral hygiene routine and discuss adjustments or changes that can take your dental health to the next level. We recommend that parents bring their children to the dentist early, usually by the time they are one year old. As we carefully monitor their oral development, our providers offer vital information to parents on how to look after their baby, toddler or child’s teeth. Great preventative dentistry can improve your oral health for years to come. Schedule a check and clean every 6 months to keep tooth decay and gum disease at bay. By carefully monitoring your oral health on a routine schedule, we’re able to help you intervene and eliminate some of today’s most common dental diseases. Contact us to make an appointment.